KiwiMill was honored with the opportunity to construct two major historical models for the Seneca Arts and Cultural Center this past summer. The Seneca Arts and Cultural Center is a newly installed interpretive museum located on the existing Ganandogan State Historical Site in upstate New York. This historical site was once the home to thousands of Native American’s known as the Seneca people. Here their vibrant community, traditions,and culture are conveyed by living Seneca people telling their own story of the past 2,000 years. The Seneca Arts and Cultural Center includes a gallery space that houses two historical models commissioned by our client. One model is an 11 foot long longhouse and the other is an architectural site model of the Ganandagon property as it existed over 300 years ago. 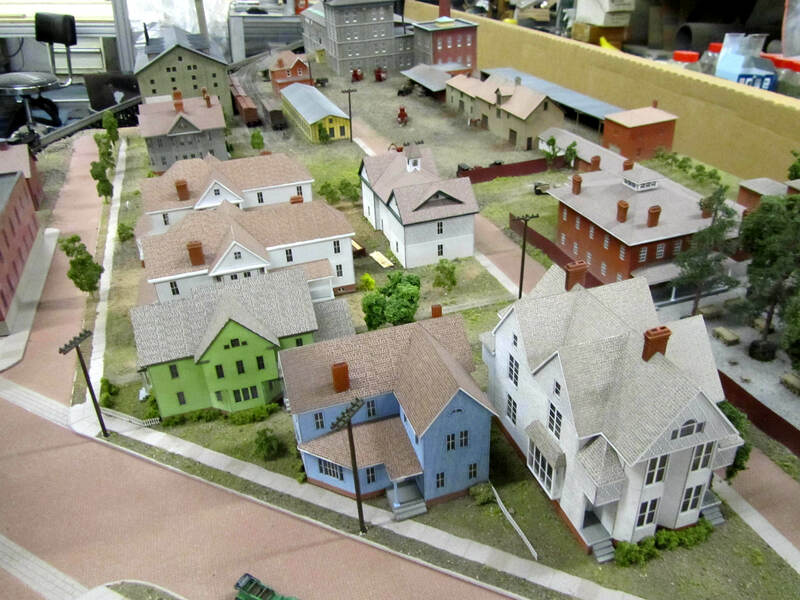 These historical site models were an exciting endeavor for the model shop. 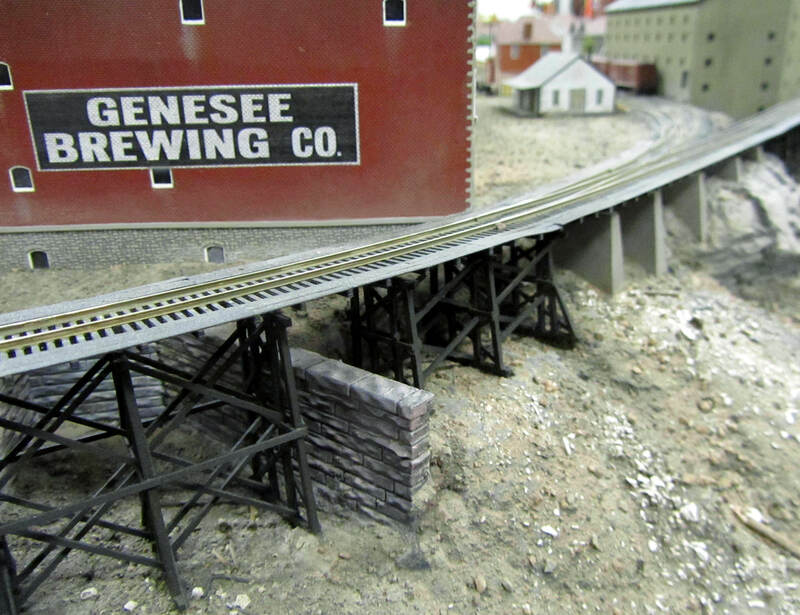 Model makers typically deal with precision, scale and details in their building projects. However artistic sensibilities are crucial for museum model work and KiwiMill prides itself in the ability to blend these two aspects. 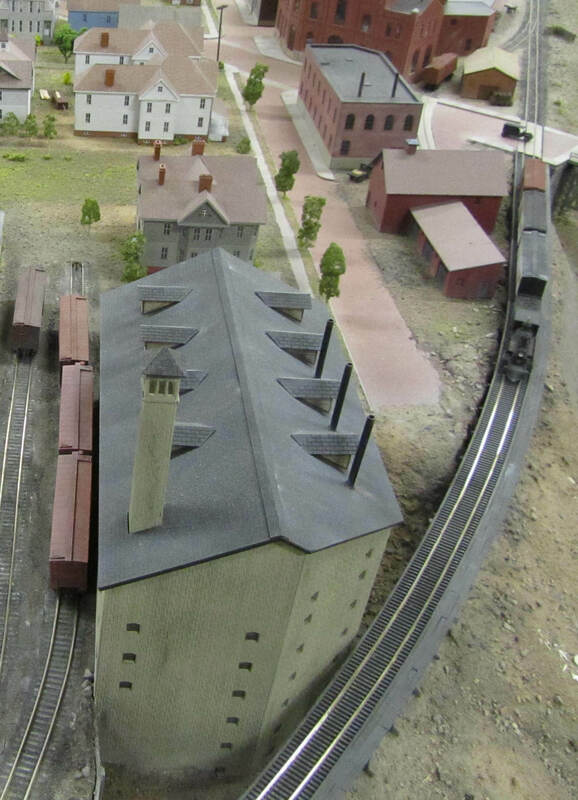 In addition to model making craftsmanship and artistry, historical models require a great deal of research and collaboration. The longhouse model needed to look realistic as well as be historically accurate. 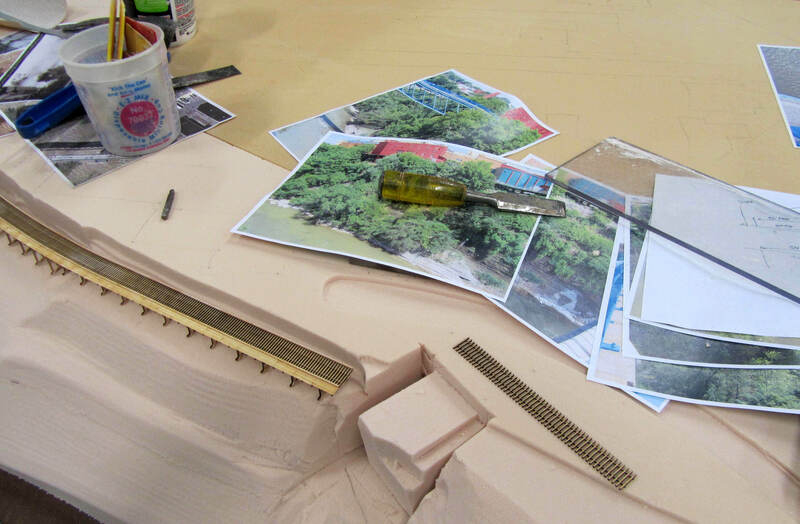 The large scale of the model (11 feet long) meant that the materials used for fabrication needed to be authentic and natural where ever possible. Real sticks were procured for the longhouse frame and were tied together with actual leather strips in a similar fashion to Native American construction. The model blankets were hand woven. The paper chosen for the bark walls needed to be the right weight, texture and opaqueness. The dyes used to color the paper were chosen to closely resemble Elm bark. The sculptures of food had to be formed and painted with realistic detail. The furs used were chosen for their scale and texture. The weapons were made from wood and metal, just like the real objects. Adding to the challenge, the longhouse would not fit through the gallery doors in one piece. It needed to be partially pre-assembled at the shop and then transported to the site. There the assembly needed to be finished in a short amount of time before the museum’s grand opening. All this needed to be done with out the use of artificial fasteners or obvious seams. The longhouse included electrical wiring. 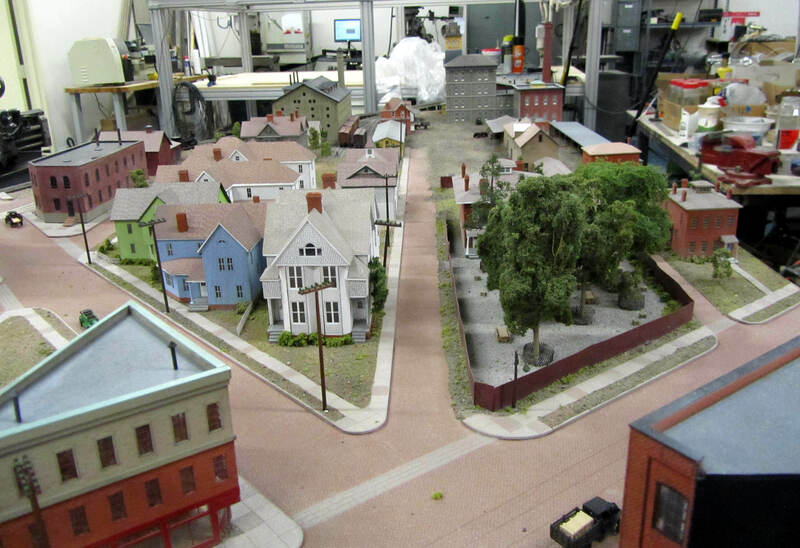 Portions of the this historical model needed to light up as individual vignettes. The longhouse model has to integrate with the existing base at the museum and installed correctly so that each portion lit up when the correct button was pushed. 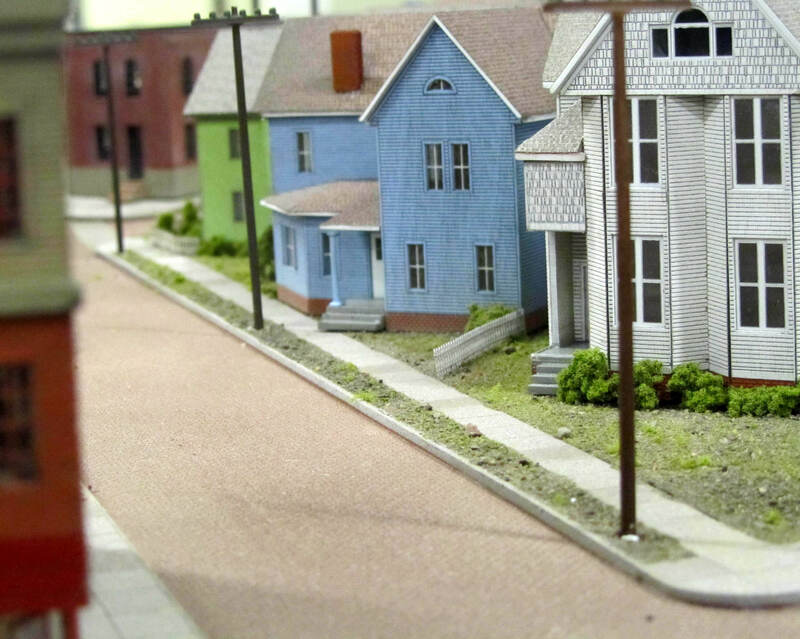 Recently I watched our model makers take perfectly crafted scale model buildings and purposely mess them up. My curiosity was piqued. 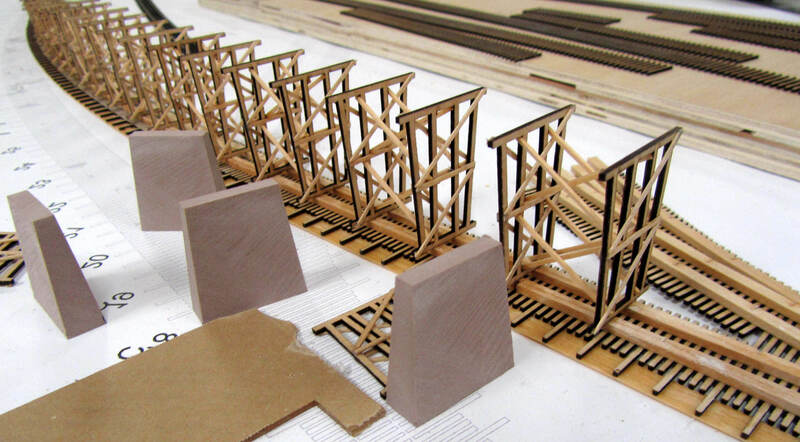 Why painstakingly create a line drawing on the computer, laser cut it, precisely assemble and finish the parts into an architectural model, only to “dirty’ up its perfection? 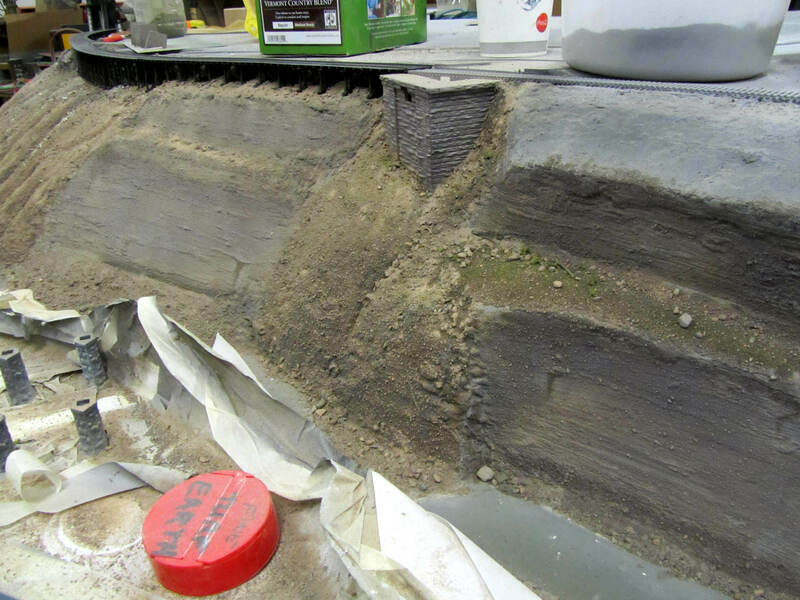 It turns out that a certain segment of architectural models – historical models – are given what is called weathering effects. Why? 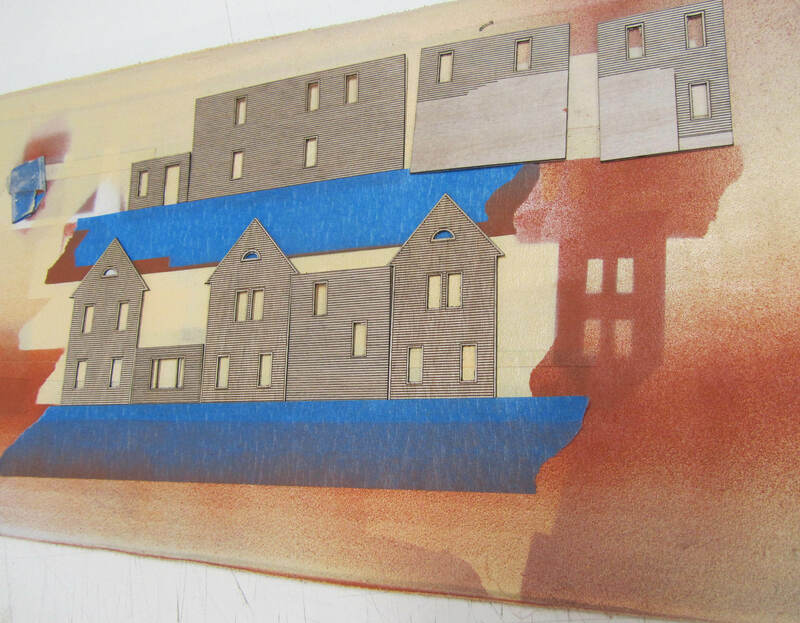 The intent is to represent the impact of the elements on an object, in order to project the sense of time, and place, that a historical scale model must provide. 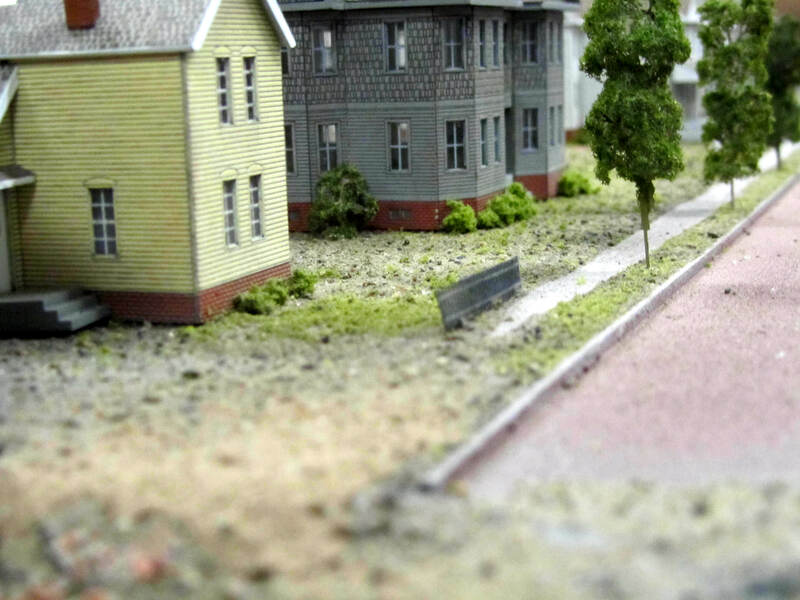 The artistic application of weathering techniques attempts to simulate – not duplicate – the natural ageing and wear process on the buildings, vehicles, roads, and other inanimate objects represented on a particular historical model. 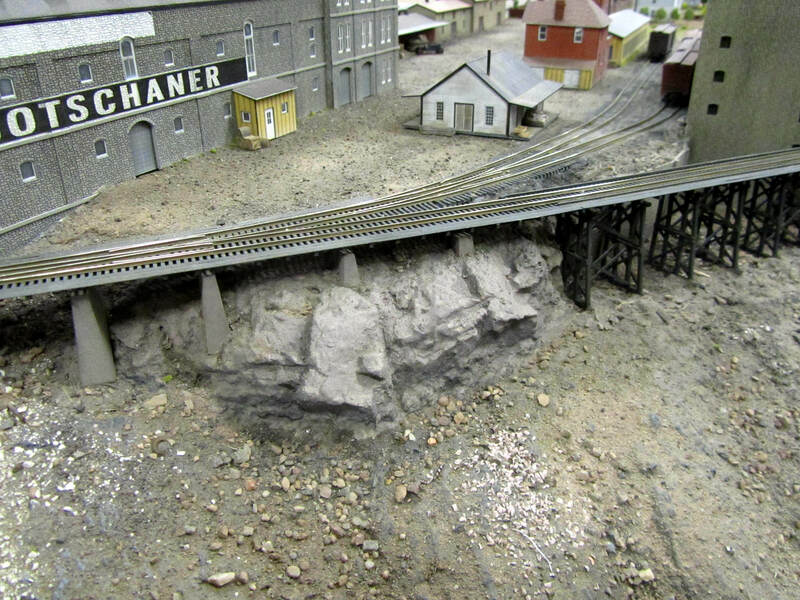 Things like dirt, grime, sun fading, paint wear, spills, stains and rusting, must all be scaled down to size using well honed modeling techniques. 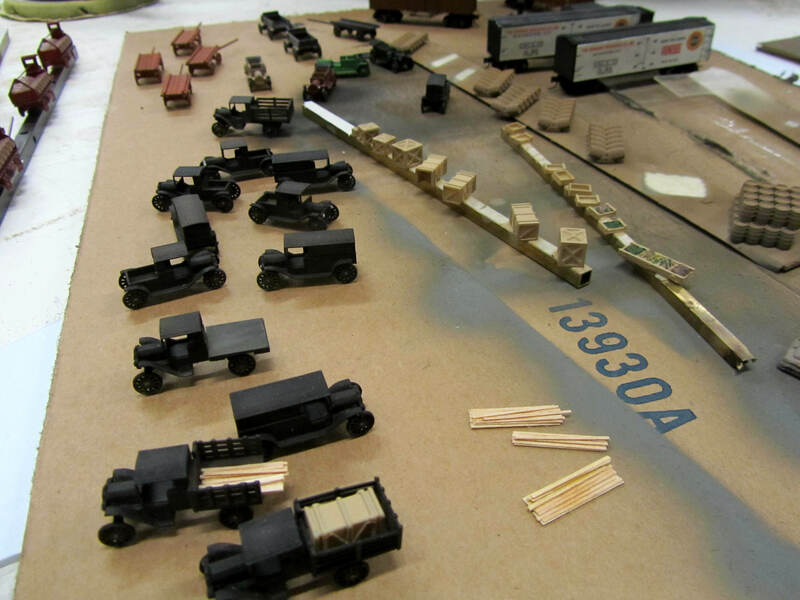 In addition to developing specific methods for applying weathering effects, a model maker must do the historic research necessary to match the ageing process with the time period the model is attempting to capture. For instance, a train run on burning wood will leave markings that differ quite significantly from a coal powered machine. 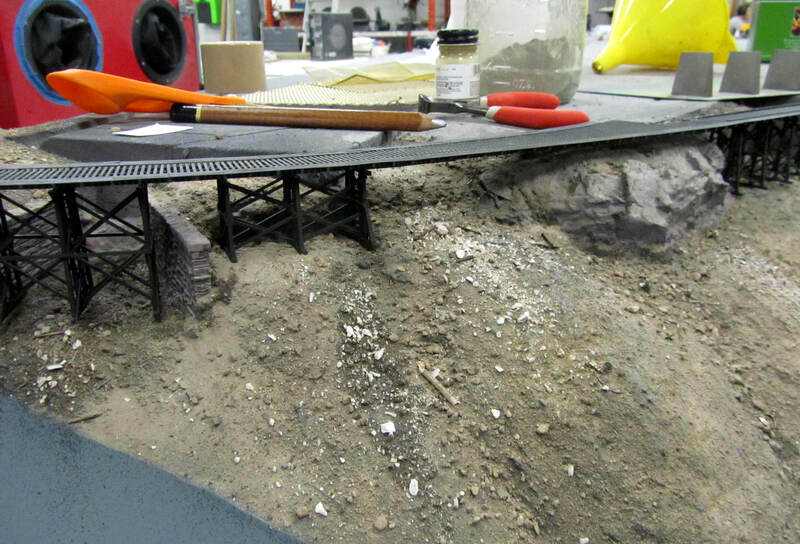 Model makers can enhance their expertise at weathering models by studying the world around them – noting the textures, colors and formations of real life wear and tear . Once you pay attention you may notice that everything is subject to weathering – grass isn’t green, asphalt isn’t black, houses are different shades depending on sun exposure and vehicles have signs of use soon after they are purchased. Our perception of the world is that it is much more brightly colored and distinct than it actually is in reality. Weathering techniques take a fully painted and detailed model and use filters, washes, dusting, and other techniques to give the desired muted effect that more closely mimics real life. Signs of wear like scratches, faded paint, rust and stains further enhance the effect. It’s a fascinating process watching a model maker take a flawlessly constructed architectural model and add blemishes to it. 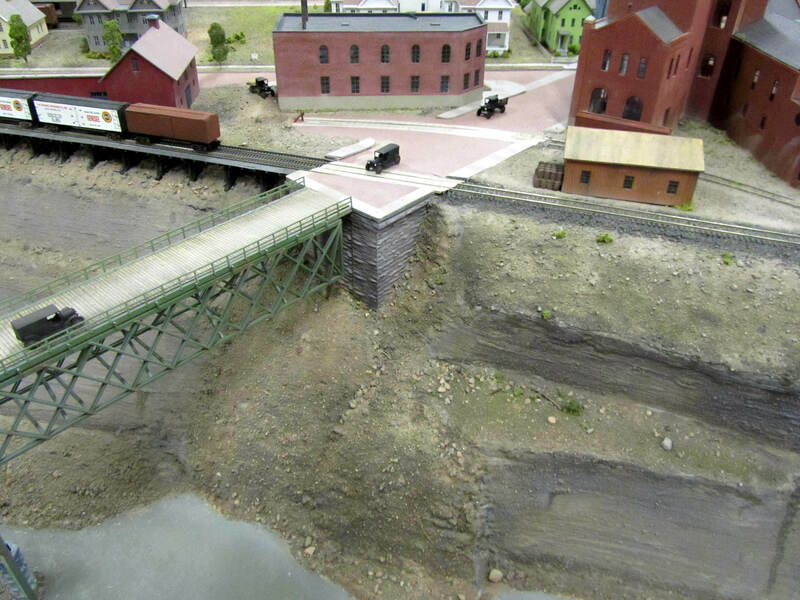 In a historical scale model, it is this artistic application of ageing techniques that ties the display together and gives it life, and the feeling that it’s accurately captured a moment in time. 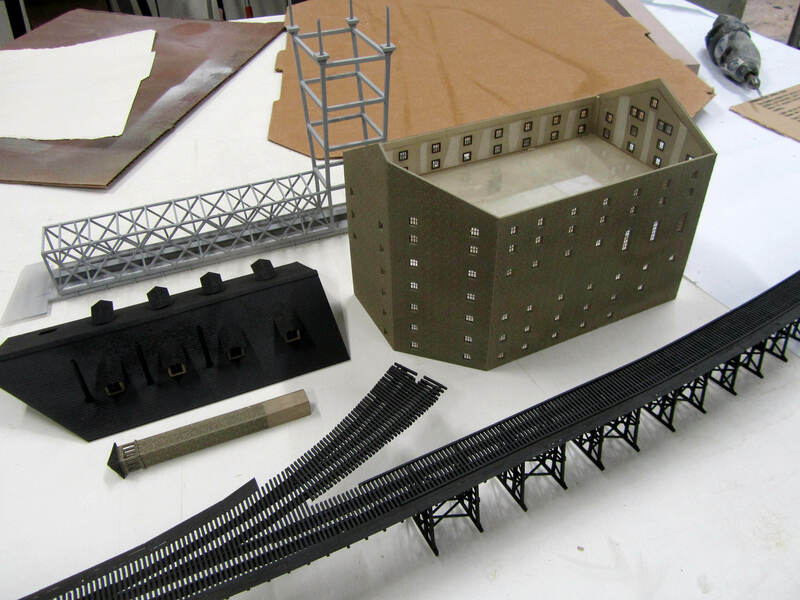 Back in the 1980’s, our model makers were looking for an architectural model project to add to their portfolio, as well as a marketing tool. 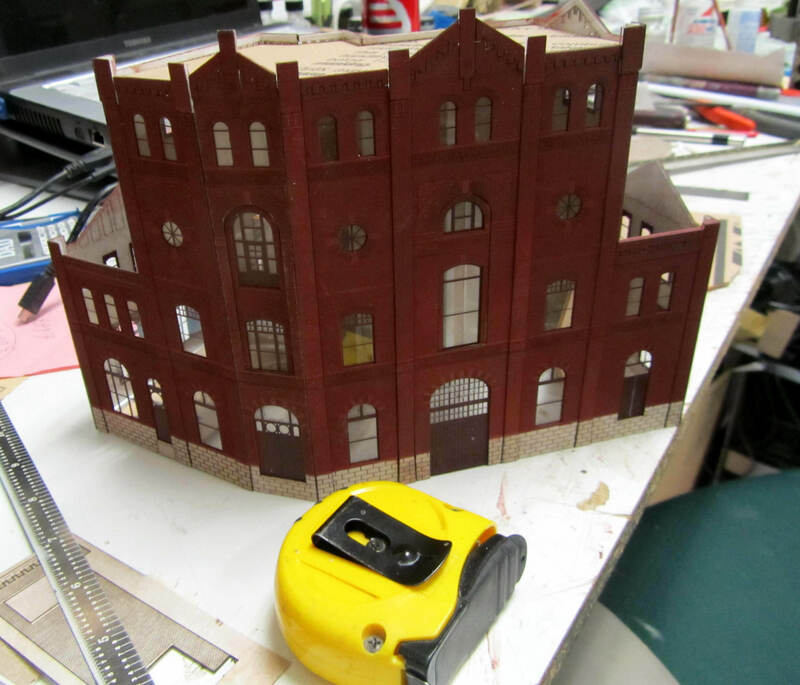 They looked around the community for an historic, architecturally elegant building that could be made into an impressive scale model. 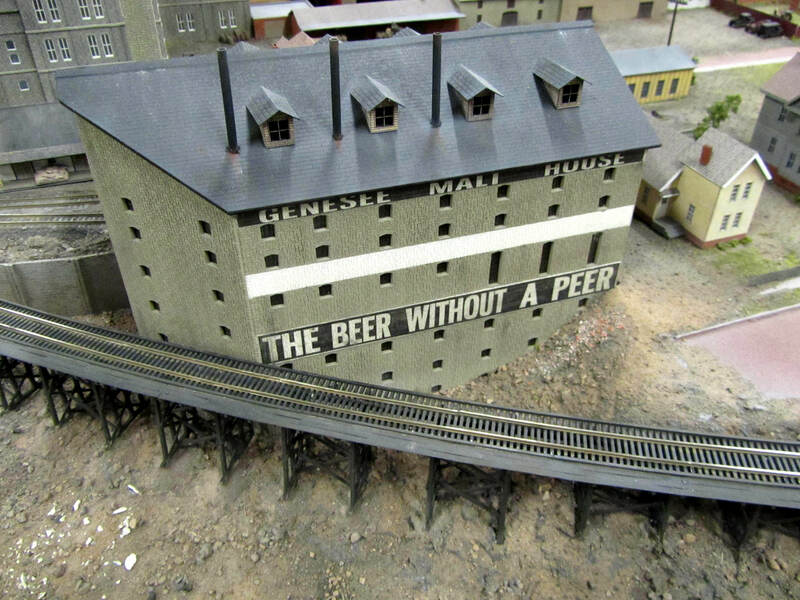 The Landmark Society of Western NY gave a list of ten buildings it wanted to see immortalized in an architectural model. The Hoyt-Potter House in Cornhill was one of the top suggestions. Originally built in 1840 for the Hoyt family, then sold to the Potter’s of Western Union notoriety, this Greek Revival had fallen into deep disrepair over the years. The current owner wanted to mow over what was left of the foundation and build a parking lot in its place, but the City would not allow it. 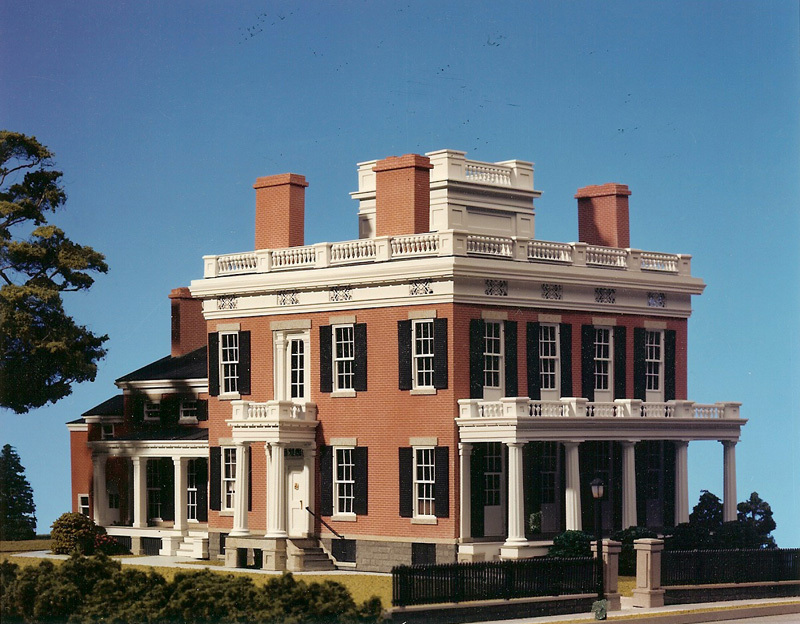 Model Maker Scott Andrews studied the only known photograph of the house, visited the site and researched additional information on the house. From his research and measurements, an architectural model was constructed in 4 -6 weeks. It was presented to the Landmark Society for their temporary use and professional pictures were taken of it. 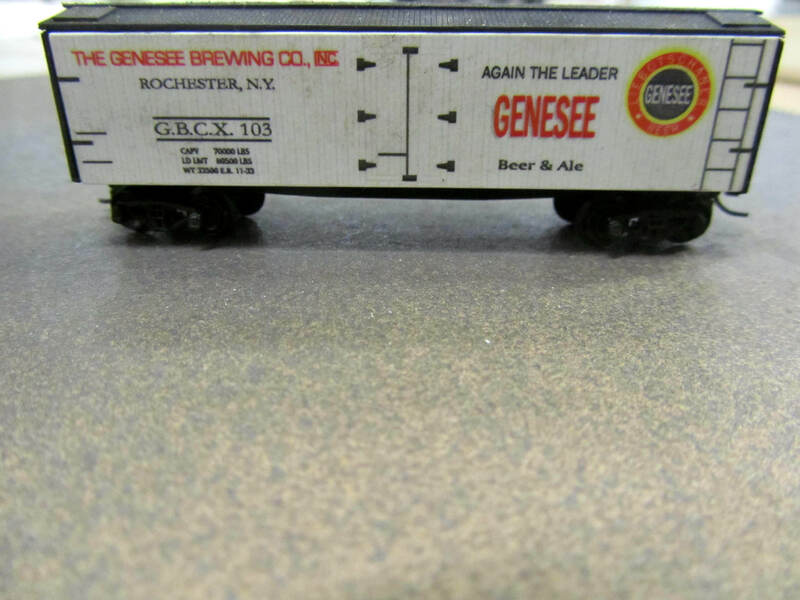 The community began to take notice of this piece of Rochester history. 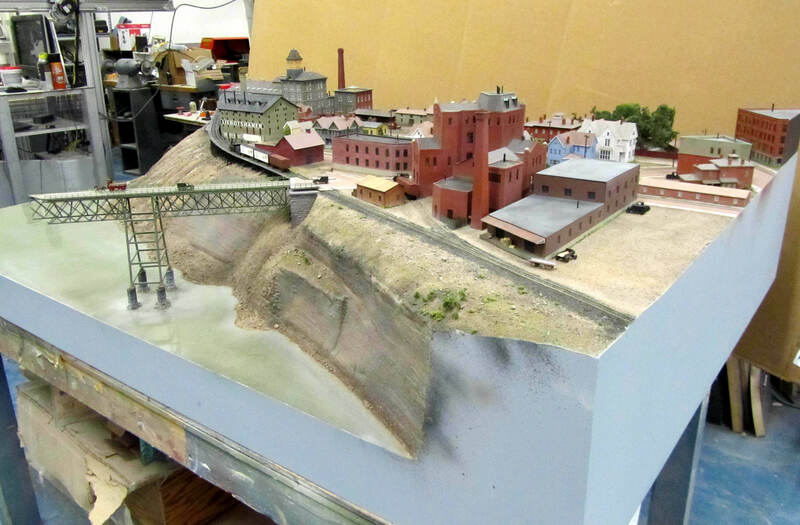 The model itself generated interest, as well as the B&W photographs of the model which fooled many people into thinking they were looking at the real thing back in its heyday. 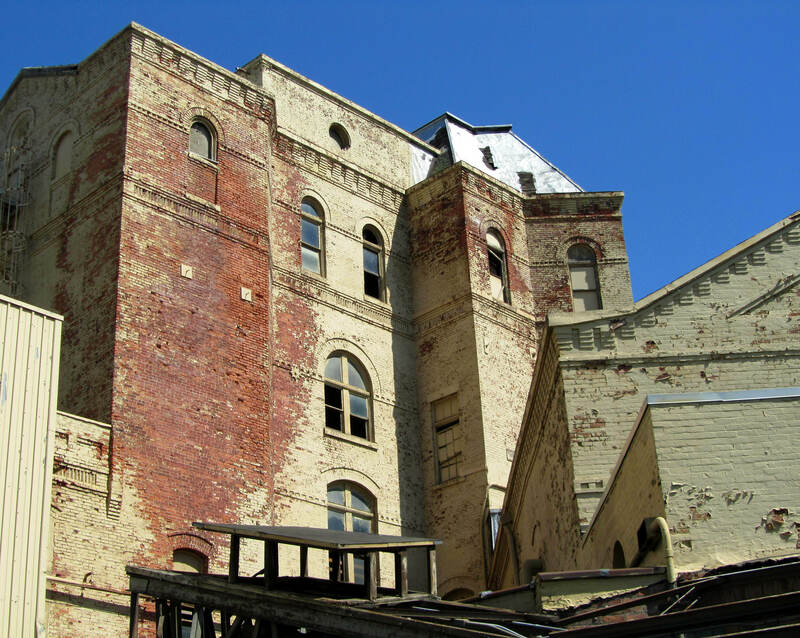 Developer Ben Kendig took note of the model photographs and became interested in the rehabilitation of the dilapidated house. The city did as well, and took possession of the home and sold the house to Ben for a dollar. Mr. Kendig turned to our model makers to find out where the building plans were as they were needed for his architect. 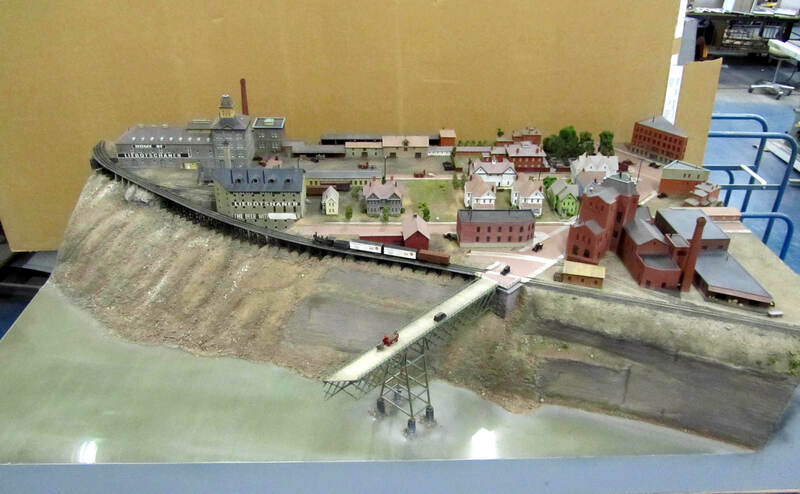 He was a bit surprised to find out that the model makers had gone off of one photograph and their own measurements. There were no plans! 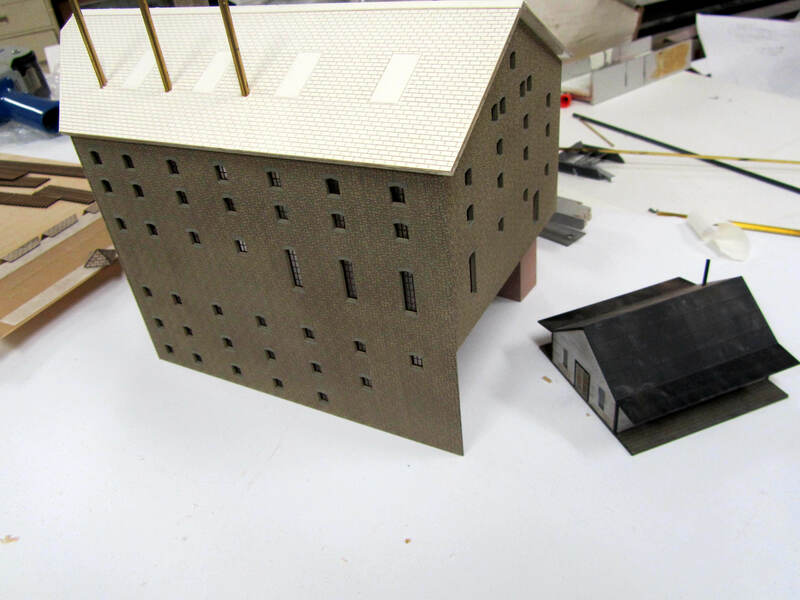 Our model makers were then hired to go back to the site and take additional measurements of what was left of the original structure to assist in the rennovations. After taking these measurements and doing further research they drew up trim drawings and other architectural details that were used by the architects in the redesign. The Landmark Society sent photos to Albany of the rebuilt house and won a grant to buy the property from Ben Kendig. 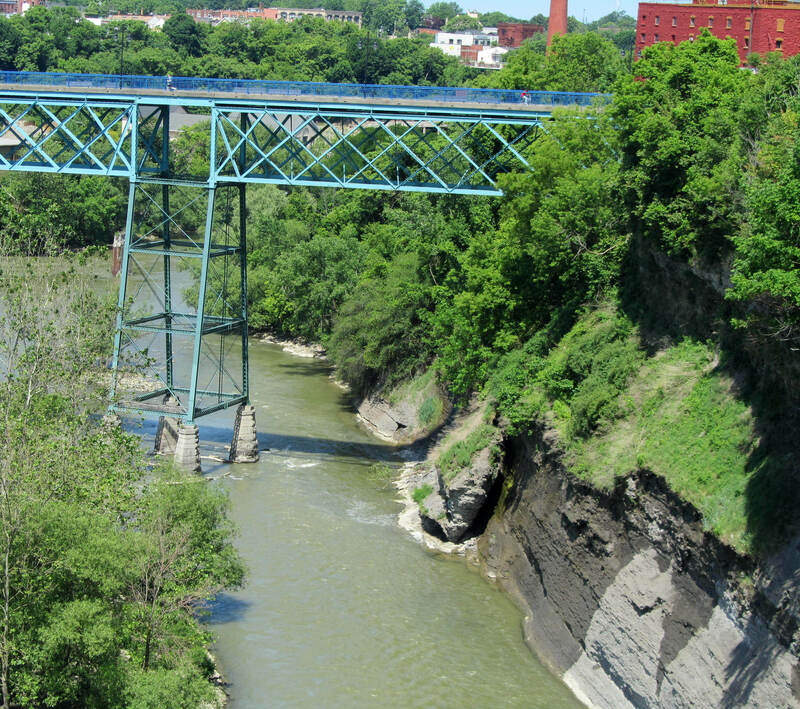 The Hoyt-Potter House is now the permanent home of the Landmark Society of Western NY.